Perched upon five hundred acres with vast flat lawns and rolling gardens, this rare and privately offered, Willow Springs Estate offers breathtaking views of the surrounding 55,000 private acreage held on lease. This is a chance to enjoy an entirely personal masterpiece in British Columbia, one of the most desirable spots in the world. Beyond the gated driveway, with a circular motor court and managers' quarters, the existing residence showcases a grand oversized river rock fireplace, rising 24 feet to the ceiling. It draws the eyes from the custom-built kitchen with bespoke and hand selected solid alder millwork, along with granite counter tops whose design reflects the theme of the magnificent Kettle River running through the property. The water meanders through the valley bottom nestled between ranchlands and forested areas with subalpine fur and ponderosa pine. Expand your horizons & enjoy this masterpiece. The opportunity is yours to create a world-class turnkey property residence. 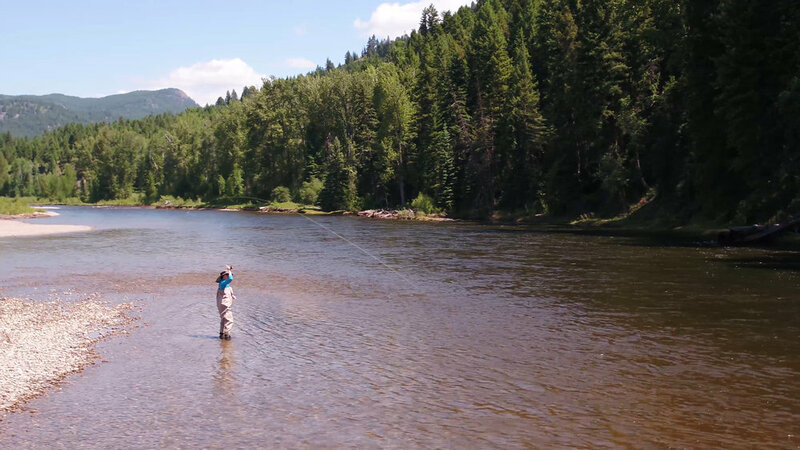 The undammed Kettle River is a haven for anglers seeking monster brown trout, rainbows and brookies. And the rich ecosystem supports an abundance of wildlife, making it common to see deer, beavers, otters and eagles. With access to a spring fed lake that does not freeze over in the winter, you'll be making memories year round. 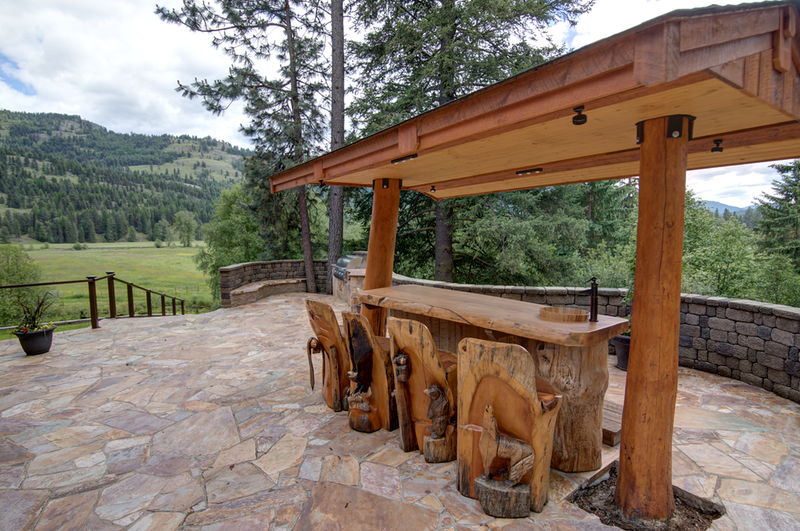 Unobstructed views of a wooded area, and hunting permitted allows you to enjoy a range of activities. The main house of the property, Kudu House is achitecturally inspired and emphasizes the natural light and view lines. The perfect guesthouse, complete with 4 bedrooms, beautiful bathrooms and a large, well-designed kitchen. Just a short walk from the other houses is a third home. It's been built with the same quality as all other homes on the property. A large event barn that easily holds 250 people. It has its own kitchen, ensuite bedrooms, and a large communal area.